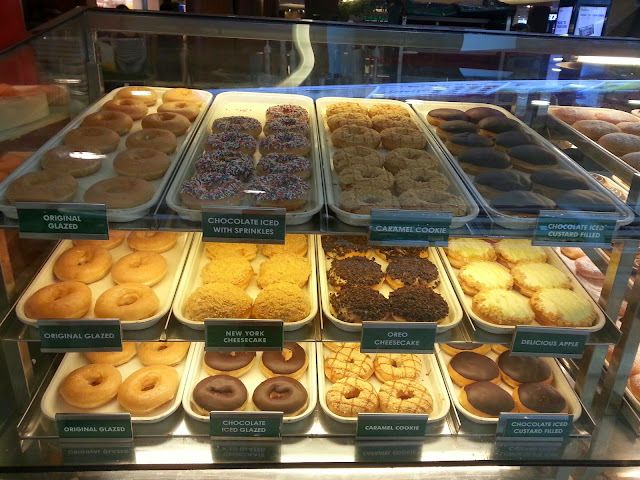 A very famous doughnuts chain around the world, I 1st knew about this doughnuts when my colleague bought this back from Manila, Philippines which is around 7 years ago. 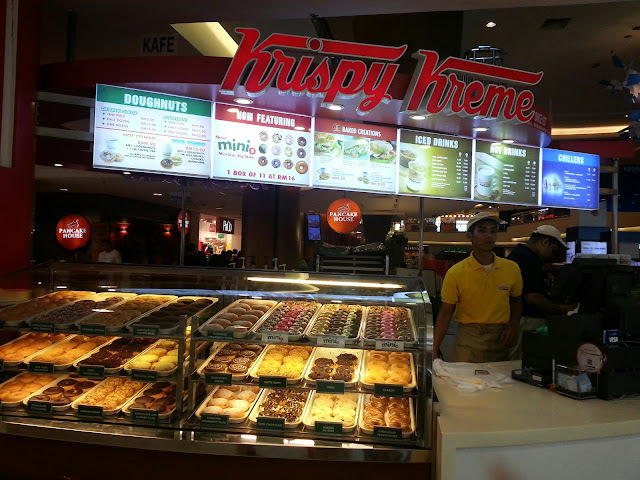 It seems very famous and franchise started all around Singapore and Malaysia due to the recent doughnuts heat. I tried only the original glazed and I heard that is the best especially when it served warm/hot. I got the original and asked the staff to heat up for me. I preferred the warm version, it is just so soft but both my friends they feel the cooling version should be nicer as it was too soft. However, the doughnut is just too sweet to have it all alone. It will be best to go with black coffee.